People who are injured as a result of another person's negligence or irresponsibility should not take these matters lightly. Major injuries can be debilitating, causing major changes in the quality of your life as well as the lives of your loved ones. It's for that reason that the injured and the family members of the injured should speak with our White Plains personal injury attorneys as soon as possible. It's important to have someone on your side who can represent your interests and ensure that you receive damages for injuries and losses. Right now we'd like to look at a particularly serious form of catastrophic injury: burn injuries. Burn injuries refers to various kinds of injuries sustained that involve injury due to exposure to hot, acidic, and otherwise dangerous substances. Anything that falls under such matters can be addressed by our personal injury attorneys in White Plains during a burn injury case. There are three degrees of burns minor (first degree), moderate (second degree), and major (third degree). First-degree burns - First-degree burns are burns that affect the outer layer of the skin. These kinds of burns usually do not require any kind of hospitalization, though medical treatment may be necessary. Second-degree burns - Second-degree burns will damage the topmost layer of skin and also damage a second layer of a person's skin. These kinds of burns often require some level of hospitalization and burn care. Third-degree burns - Third-degree burns will damage all layers of skin and possibly underlying structures such as muscles and blood vessels. Given the type and extent of damage, these kinds of burns often require specialized care at a burn treatment center. Thermal burns - Thermal burns are burns that are caused by contact with hot substances or intense heat, such as flame, hot water, steam, and heated objects. Chemical burns - Chemical burns are burns that are caused by exposure to chemical substances, such as acids, industrial cleaning chemicals, solvents, etc. Electrical burns - Electrical burns are burns that are the result of electrical current coming in contact with the body. Radiation burns - Radiation burns are burns that are the result of prolonged exposure to various kinds of radiation. Our White Plains auto accident attorneys and personal injury lawyers can help you no matter what the cause of your burn injury was. The extent and type of burn will determine the effects of the injury. In some cases, the burn can cause major damage and deformity to the skin of the victim, require reconstructive surgery. In serious catastrophic injury involving burns, nerve damage and deep tissue damage may be involved, requiring major burn treatment and physical therapy. 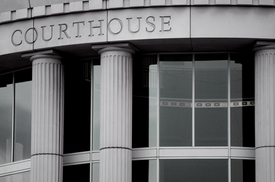 This is why it's so important that you receive legal representation for your case. If you would like more information about all of your legal entitlements following a burn injury or any sort of catastrophic injury, contact our Westchester County personal injury attorneys today. The entire team at our firm is here to help you receive just compensation and achieve peace of mind.